There may be freezing temperatures and blowing snow, but it’s never too early to think about your home’s landscape. Whether you want a few simple changes or a complete redesign, there are several steps to consider first. You can create a plan or get the help of a local landscape company before heading to your local garden center to help you choose the right plants and avoid wasting money. Don’t get overwhelmed and buy the first thing you see. These tips will put you on the path to the perfect outdoor space for your home. What is the regional climate zone of your home? Do you know the soil type? How much shade is there? Are there areas of full sun? Is there good water drainage? The answers to these questions will determine what plants will work best. If you don’t know, many homeowners have reached out to Createscape Landscaping Service for professional assistance with their landscaping needs. How Will Your Yard Be Used? Will you use this space for entertaining? For an herb and vegetable garden? A flower garden? Do you have pets and children? By strategically using plants, walkways, and hardscapes, you can create different “zones” for different uses. People can move from one area to another depending on the need. Be realistic about your goals. Four young children and a big dog will use the backyard very differently than two adults. What are your maintenance style and budget? Do you truly have time to maintain your landscape or will you need to hire a service? The answers will determine the success of your landscape design. Before picking up a shovel, decide how you will use the plants in your yard. They can offer scenery, provide you with vegetables and herbs, aromas, cover a fence, give you privacy, and more. As stated earlier, plants can be used to create barriers and define spaces. Using tall bushes, low growing plants, and some in between, can also offer interest with color and height. If you enjoy birds, butterflies, or the sound of water, features can be added such as fountains and birdhouses. Tall trees, bushes, and plants can affect wind, sun, and noise in your yard as well as temperatures and light levels. Your home’s architecture can influence your theme. Your yard is an extension of it, so try to match its lines and shapes. Hardscapes should compliment the brick or stone on the house as well. A theme may be as simple as a consistent color or shape, or as complex as creating a pond or a Zen relaxation garden. Themes will guide the selection and placement of plants, structures, and hardscapes. Do you want a natural feel and soft lines? Do you prefer a formal garden with hedges and geometric shapes? Looking through landscape design books or talking with a professional can help, too. How will time affect your plants? Will they grow quickly, slowly, or get too tall after a few years? Will they need a lot of water and TLC? Make sure your plants have room, keeping in mind that your yard’s conditions may cause the plants to grow larger or smaller than optimal. Don’t choose plants you’ll have to move or remove in a few years. Speaking of which, before you tear out the entire yard this spring, determine which plants should be saved. Maybe they can be moved to another part of your yard. Moreover, consider reusing or repurposing bricks, stones, and other hardscape materials you have on hand. 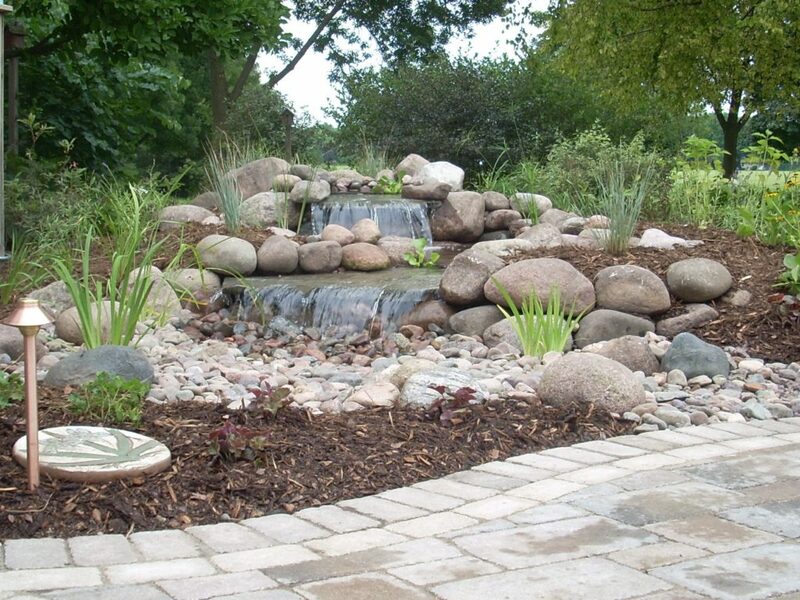 Located in Mukwonago, Createscape services all of Southeastern Wisconsin. Whether you need assistance with choosing plants, building hardscape, or redesigning your entire yard, they can help. Call today and bring your landscape vision to life. Snowplow or Snow Blower: What’s Better?